2015 Convention Sign Up Links - Welcome CABOHOLICS! THE PREPAY LINKS FOR ACTIVITIES HAVE ENDED. If you have already purchased / paid for activities on line, your tickets will be available at the Meet & Greet. Meet & Greet Registration on Sunday, February 8th from 2:00 - 6:00. Events where tickets are limited will be sold on a first come - first serve basis while they last. 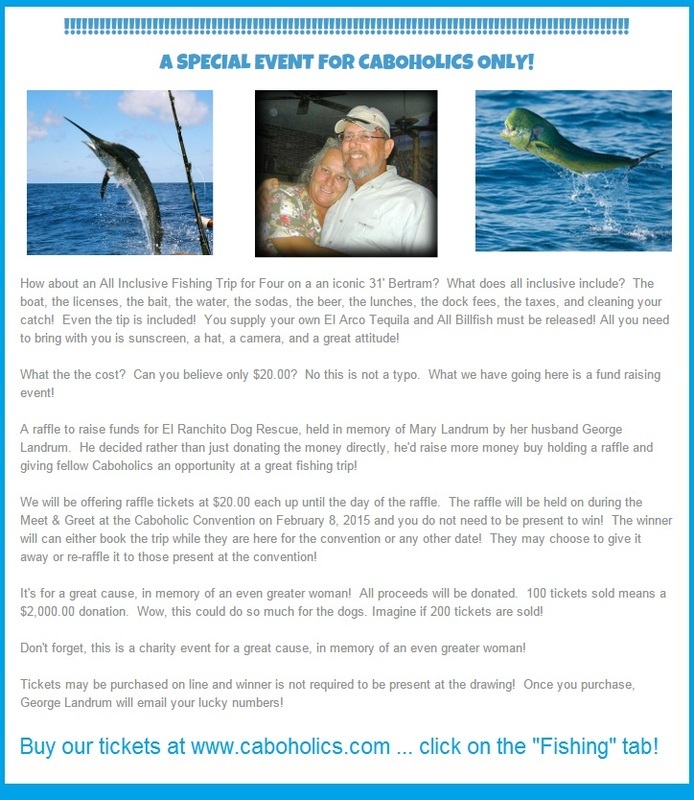 All Inclusive Fishing Trip Raffle!